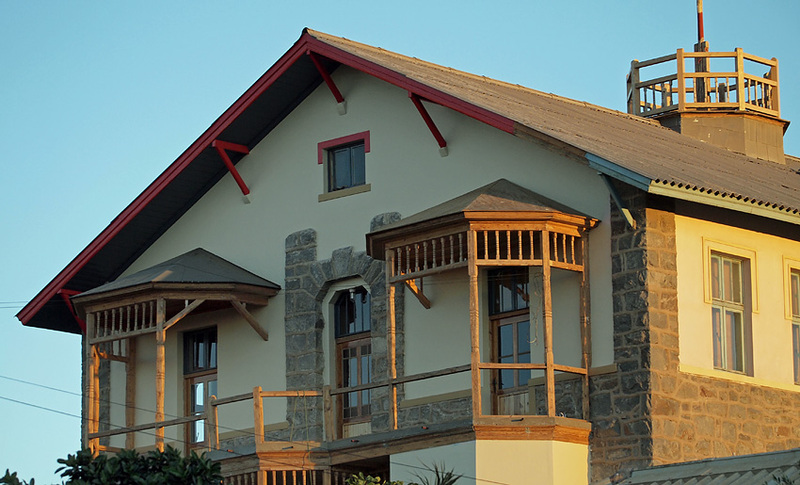 We arrived to Lüderitz in the afternoon and quickly found our hotel – The Nest. It is beautifully located on the rocky beach. 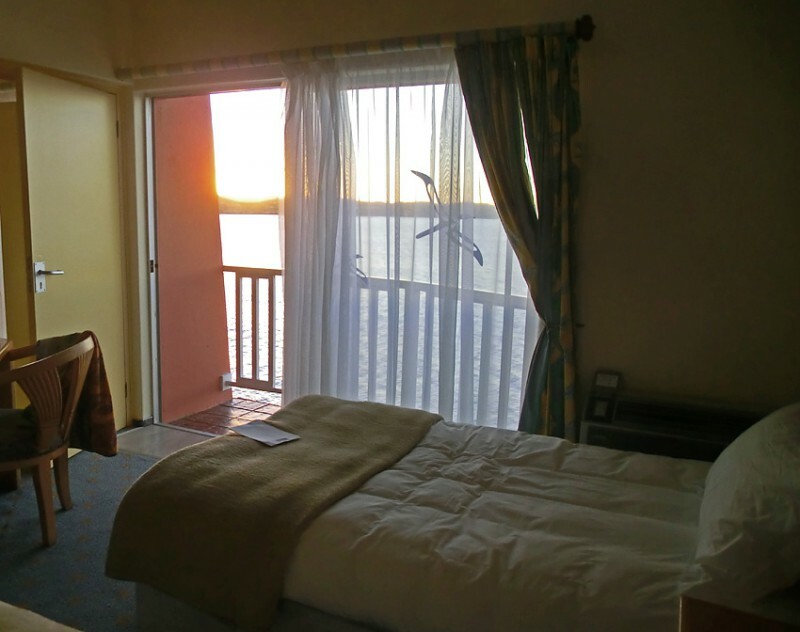 Nice rooms with a beautiful view and the sound of waves making you sleep well. But the first impression of the town was almost that of a ghost town. Several deserted buildings and it is not that easy to find a restaurant. 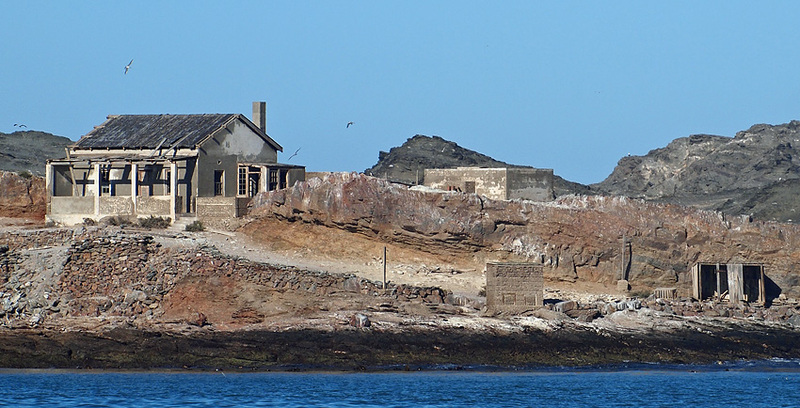 …this is the station at Guano Bay, where guano was collected and shipped to Europe. In 1883 Heinrich Vogelsang bought Angra Pequena from a local Nama chief. 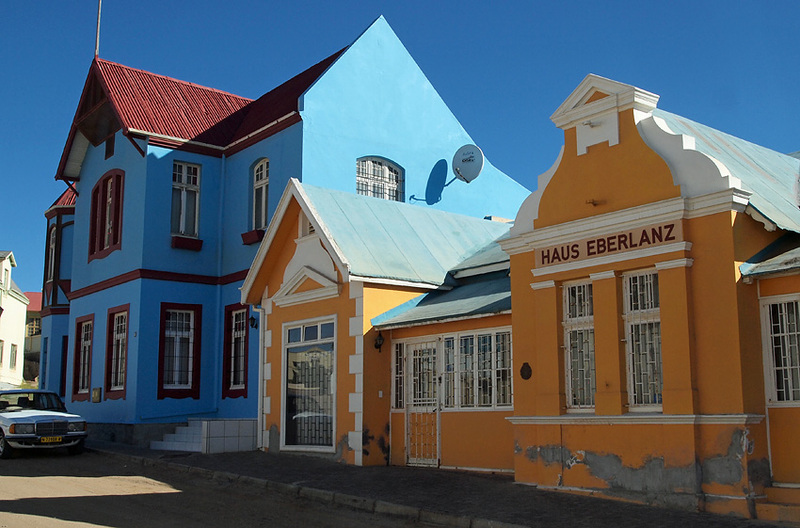 Vogelsang acted on behalf of Adolf Lüderitz, who was from Bremen in Germany, and after Lüderitz death in 1886 the town got its new name. In March 1906 the work started on a railway line to Aus. In this work military troops were used as well as prisoners of the wars between the German colonial forces and the Herero and Nama peoples. The work on the railway to Aus was completed already in October 1906. 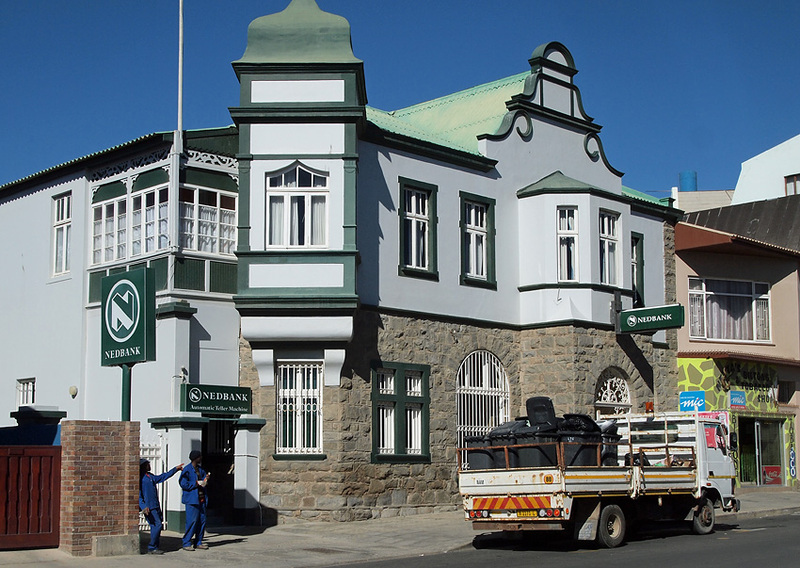 The railway reached Keetmanshoop in 1908 and from 1912 this was linked all the way to Windhoek. Today the railway is not used. In 1909 diamonds were found near Lüderitz. This lead to a new “boom” and the town became the home of a lot of wealthy people. Today the diamonds are found on grounds further away from Lüderitz or offshore. 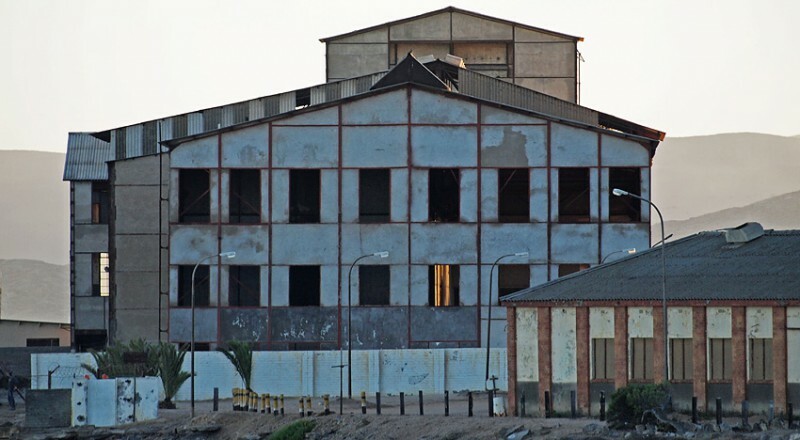 The remains of the diamond “boom” today are ships like the one above used to find diamonds in the see west of the coastline outside Lüderitz. The harbour of Lüderitz has a very shallow rock bottom, making it unusable for bigger modern ships so these ships are using the harbour in Walvis Bay. 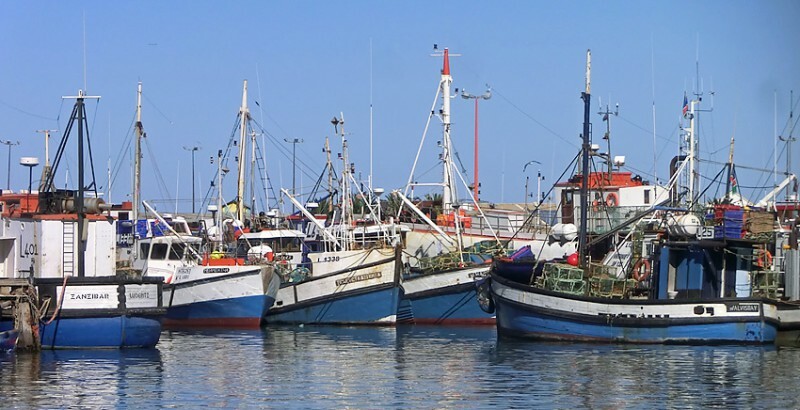 Today fishing and tourism are the economic “engines” for Lüderitz. In 1998 the harbour was upgraded to allow for larger fishing vessels and at that time it was also decided to rehabilitate the railway line. The work on the railway has been going on since then, not quite as fast as a hundred years ago. To attract tourists a new waterfront has been built with a few shops and a restaurant. 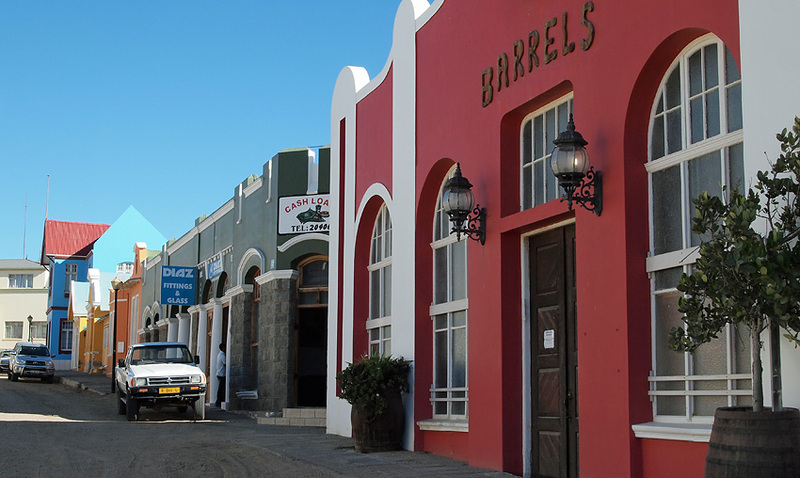 Tourists come to Lüderitz to see the sealife, including whales, dolphins, seals, penguins, and flamingos. 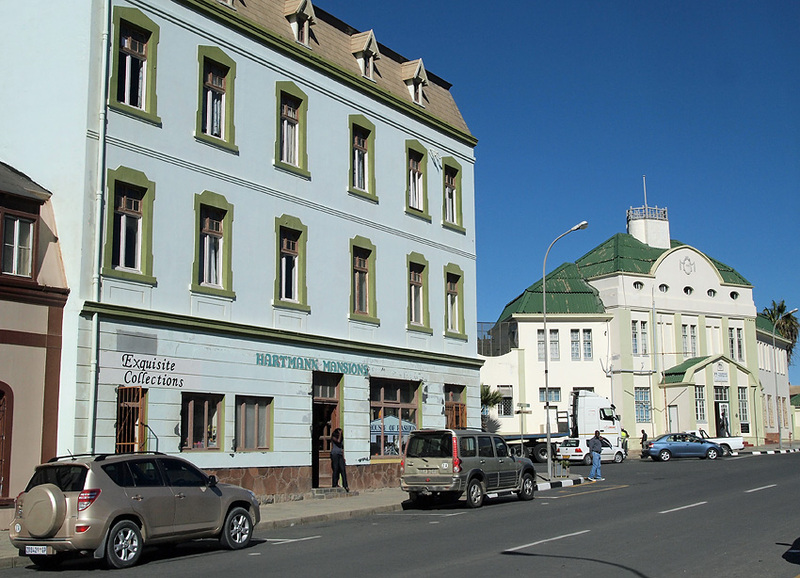 But the town itself is also an attraction, known for its colonial architecture, including some Art Nouveau work. …there is still some charm. …but it is still a pretty town.